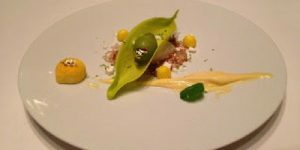 To say I was excited about my trip to La Reserve Ramatuelle would be an understatement and having already visited La Reserve Geneva and the exquisite La Reserve Paris, my expectations were high! They say timing is everything and when I arrived at Nice airport to be greeted by a throng of press, I wondered if mine was not ideal! “Of course “, I thought it’s Cannes Film Festival and they were waiting for Angelina and Brad, George and Amal, not me and my two partners in crime – industry colleagues! Nevertheless, we were swiftly whisked away by our very friendly and efficient driver and in one and a half hours arrived at La Reserve Ramatuelle (though the journey can take up to two hours in high season). My initial impression was “Wow”. As you enter the lobby you cannot help but be drawn to the amazing rugged coastline vista before you. It struck me how modern the property is in comparison to the other La Reserve hotels. It felt clean and crisp with white, ochre and neutral shades, very relaxed and inviting .There is no formal reception desk but attentive, smiling staff to take you to your room or villa either on foot or in a golf cart. I checked into my Junior Suite and had that “Gosh I love my job” feeling! The Junior suite is the third room category (superior & deluxe being the lead in room types) and I would definitely suggest this room type as the best option. The room felt huge, approximately 55 sqm all to myself, not to mention the garden terrace on the other side of the picture window. I stood for a moment taking in the ever changing hues of the Mediterranean…..even in the drizzle, it was spectacular! There was a welcome gift of perfectly formed marshmallows, a small lemon cake and chocolate bites and a bottle of rose, all so beautifully presented that I did not dare touch them. Lunch was calling. La Voile restaurant is close to the lobby area and very open in style with many different terraces and a small garden which come into play in high season .Chef Eric Canino , formerly with Michel Guerard has two Michelin stars and incredibly manages to combine indulgence with balance so nothing I ate felt heavy or excessive. The lunch menu is comprehensive and the whole ethos of Eric Canino’s cuisine is to cater for those who want to enjoy healthy food without sacrificing taste and creativity. Dishes range from €30-60 for lunch. In true French style, it was a long lunch finishing at 4.30pm (we were late arriving!) and had time to relax and enjoy the facilities before leaving the hotel to dine in Ramatuelle that evening. Ramatuelle is a quaint little, hilltop village far from the madding crowds with a handful of good local restaurants and a wonderful art gallery – well worth a visit and I can certainly recommend La Forge a family run Italian with great food and hospitality. La Reserve Ramatuelle provides a complimentary shuttle service for guests between the resort and Ramatuelle or St Tropez. I slept like a baby and awoke to glorious blue skies, perhaps a little earlier than I would have liked but keen to experience the Nordic walk which starts at 8am and forms part of La Reserve Ramatuelle’s Bootcamp programme. I hasten to add that this was the only part of the programme we tried! Our guide was eagerly awaiting us at reception so after a “green juice” off we went, all so thrilled to see blue skies and a glistening sea. The coastal walk took us though rugged terrain with spectacular views of the sea and many photo opportunities of little bays and single yachts that had moored overnight in a tranquil piece of heaven. For those who want to explore the region, there is a plethora of activities on offer from vineyard tours in Domaine de la Tourac and local Provençal markets to golf, helicopter rides and yacht charters. 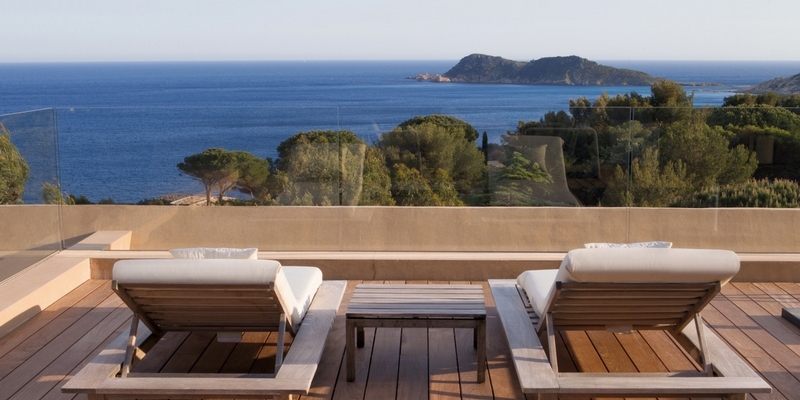 In addition to the 28 resort rooms, there are 14 stunning villas at La Reserve Ramatuelle. I was surprised by the standard of the villas – each one could have been a privately owned stand-alone villa finished to a very high spec and with individual interiors, homely and stylish. The individuality of each means that guests can have a different experience each year as they have lots of repeat clients. Villas range from three to six bedrooms (just one) and include a housemaid six hours per day who will prepare breakfast afternoon tea, ensuring that guests are relaxed and well looked after throughout their stay. Each has its own pool, lovely garden with barbeque area so for those clients seeking total privacy, they are an excellent choice. Two new villas will open earlier than planned on July 7th – villa No .1 (5 bedrooms) , a vintage villa dating back to the 1970s and lovingly restored maintaining many of the original features such as the tower section and Villa No .2 (3 bedrooms) a panoramic villa overlooking L’Escalet. Guests can access all the hotel facilities and avail of the complimentary shuttle service to St Tropez and Ramatuelle which operates between 8am and 10.30pm subject to availability. Our last night was a gourmet sensation with the 7 course Gourmet menu in La Voile – there are not enough superlatives but unusually when dining in a two Michelin star restaurant, I did not need a crane to lift me from the table! The lemon and lime melee for dessert was the highlight for me. I tried to recreate it at home but failed miserably. From June onwards guests can enjoy the fabulous Roof Terrace which will welcome a new Japanese chef for this season so sushi and champagne on a candlelit terrace – it doesn’t get much more romantic and it can be privatised for proposals or private parties. The next morning we were treated to a wonderful treatment in the anti-aging Nescens spa which is a destination spa and was recently featured in Conde Nast Traveller. Needing all the help I can get these days in an effort to rejuvenate myself, I opted for the Better – aging body massage. The description read “Combined with the use of a lymph drainage device for the 80 minute treatment, this massage releases blockages and eases tension, while activating cell regeneration and stimulating skin oxygenation and muscle tone.” That was enough for me. I came out feeling like a new woman and did not relish the thought of packing my bags to leave this wonderful resort. I would highly recommend it whether for a family villa holiday, romantic and relaxing couple getaway or a few days rejuvenation in the spa!